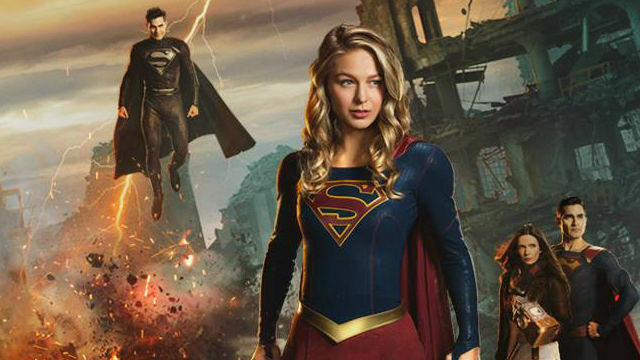 Only one day remains until The CW airs its Elseworlds crossover featuring its assortment of DC superheroes. Before it kicks off with Sunday night’s episode of The Flash, the network has released a new preview for the event. The clip shows new footage punctuated by interviews with the cast and crew about what Arrowverse fans can expect in the coming days. Naturally, one of Elseworlds’ most anticipated inclusions is Kate Kane, a.k.a. Batwoman, played by Ruby Rose. It’s clear from her words that the Australian actress isn’t taking this role lightly. “This is an iconic character,” Rose said. “She’s never been played before. I’m trying to do my best for me and make it as badass and kickass as I would like Batwoman to be played.” Another exciting addition is John Wesley Shipp reprising his role as The Flash from the ‘90s live-action series. Gustin admitted that he was “really jealous” of Amell, who wore Gustin’s Flash suit on the day Shipp filmed his costumed scenes. “We always do the crossovers with one thing in mind,” said executive producter Marc Guggenheim. “It really is for the fans.” Amell also promised that the “Easter eggs” scattered across the three episodes won’t leave viewers disappointed. You can check out the new Elseworlds preview below, then tell us what you think in the comment section!